Big 350 red rose heart- shaped arrangement with 1 L U message with white roses. 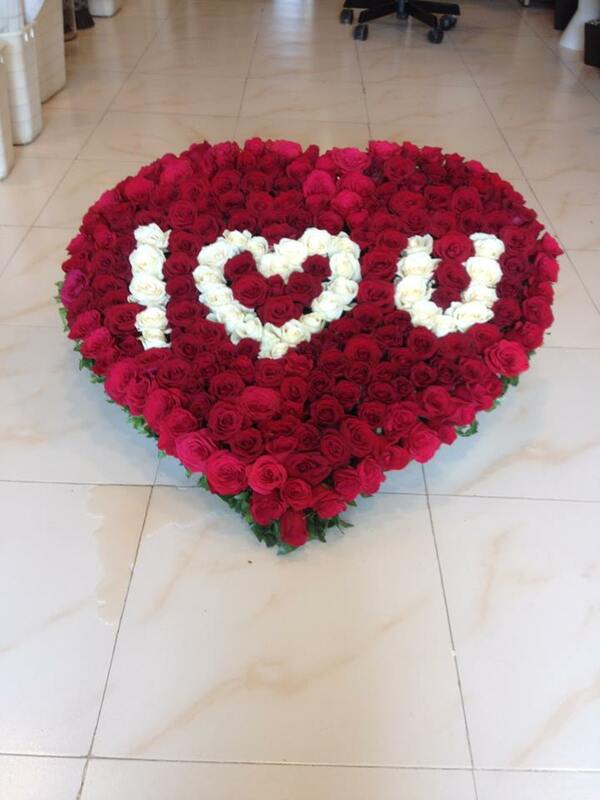 To give the message of your pureness of love or to start the new chapter of your life by asking the one you love, out for date, nothing can beat this arrangement of red roses set in a heart shaped pattern with the message of I love you in between, written with white roses. Give your loved one the feel of being on cloud nine with this beautiful arrangement of flowers. Have a Question about My Message Product?